This just in: What you’ve been told your whole life is simply not true. The TV is not making you dumber. In fact, it may be benefiting your brain and improving your life, if you’re using it to learn a language. There are nearly as many approaches to learning a language as there are learners. But with the wealth of content available in so many languages and the cultural learning opportunities it affords, it’s safe to say that using TV, movies and video is one of the best approaches you can take. Crack open an old textbook and bust out the flashcards if you want to memorize a long list of words, phrases and grammatical rules that you can repeat on your next vacation. But if you want to learn how to use a language like its native speakers do, to meet new people and form friendships in that language—all while learning about the culture connected to the language as you’re doing it—then TV and video is the way to go. In this guide, we’ll explain not only why using TV and video for language learning is so effective, but also how to find video material in your target language and incorporate it into a successful learning routine. We’re not just making this stuff up—there are solid, scientific reasons why TV is such a great tool for language learning. These reasons have to do with both what we know about how the brain acquires a new language, and what we know about the nature of language itself. You witness culture in action. Language is culture: Every word and phrase is really just the sum total of how its speakers have used it for years and years, and the way we all use our languages means we’re constantly adding to and changing them. Watching TV in a language lets you see the many ways people naturally use their language to communicate different meanings within their culture. It’s a process that you can observe and participate in, not a thing that you can learn from a phrasebook. If you learn a language without learning a bit about the people who use that language and how they use it in their lives, all you’ve really learned is how to order a beer halfway across the world. You get to observe without participating. In real speaking situations, we often get so caught up in trying to put together our next sentence that we neglect to listen to and think about what the other speaker is saying. This means we’re missing out on chances to make new connections between words and their meanings, to notice how someone might use a phrase differently and to learn new words in context. When the TV is on, it doesn’t expect you to answer it, so instead of mentally scrambling to build a grammatically correct sentence, you get to sit back, listen, interpret and consider. It’s multimodal. Just like spontaneous conversation, foreign language TV is not only sending sounds to your ears, but also sights to your eyes. Stimulating multiple senses together gives you more tools for making connections between words and their meanings, and more closely resembles real-life speaking situations. This is the ultimate organic learning opportunity: While using a translation app to find out that árbol in Spanish means “tree” would help you to memorize that fact, witnessing a character use the word while gesturing toward that large leafy thing with the branches helps you to actually learn and retain it. It’s entertaining. There’s a reason most of us are great at our favorite hobbies like sports and games, but then not usually so great at calculus: If it’s enjoyable, you’re going to be motivated to do it more, and you’re going to better retain what you learn. Once you get wrapped up in the storyline of your newest French drama, you want nothing more than to really understand the words that are being said, a totally different and better motivation than just getting them down long enough to pass a test. Learning a language by watching TV and videos is not just about getting better at it; it’s also about being a more culturally sensitive learner with a better understanding of how the language is actually used. If that’s the kind of language learner you aspire to be, we’ve got some tips for how and where to get started. Whether you’re a film enthusiast or a professional series binger, there’s video material out there in your target language that you can use to enhance your language learning. But where to start? If you’ve just started learning two weeks ago and haven’t gotten far beyond sentences of the “I like ice cream” type, historical thrillers probably aren’t for you. Different genres of TV and movies tend to use language similarly across different languages. You’re not likely to see a nature documentary where the narrator screams a nonstandard accent into the microphone, nor a sports match that involves a lot of deep abstract discussion or complex sentence structures. Use this guide as a rule of thumb for deciding what kind of material would be most beneficial for your current learner level. Remember that you should always try to challenge yourself—if you’re understanding 95% of the words you hear, you might not be learning very much—and that it’s okay and even advantageous to use “crutches” like subtitles in certain situations. The most important thing here is training your ear to the sounds and patterns of the language. Try to avoid subtitles in your native language, but if you need them in this phase, don’t feel bad: Watch your clips once with subtitles in your native language, and then once with subtitles in the target language. At this point, educational and informative programs, with their trademark super-articulate and reasonably slow speech, are your best friends. Continue adjusting to the sounds of the language and work on your ability to hear and understand words as they are pronounced and used by native speakers. Some of the films might still be too challenging (especially without subtitles), and you also may find the vocabulary used in some news shows and documentaries too advanced. That’s okay! Look up unfamiliar words when you’re totally lost, but otherwise accept the holes in your vocabulary and do your best to continue being a good listener. This is a critical intervention point for a good series: Find something that lasts for four or five seasons, fall in love with it, and you’ll be amazed at not only how rapidly your hearing comprehension improves but also how much your own expressive range in speech widens. This is also a great point at which to start beefing up your pop cultural references by watching the things that most other people your age or in your field would have watched. Find shows like “Friends” that are staples of a generation, and surprise your foreign language peers with a casual reference to them now and then. There are countless genres of television and movies, and we may not have mentioned all of them here. If you’re a fan of sports or classic movies or whatever else it may be, just think about how “normal” or representative the language used in this genre is, whether it’s likely to feature words and phrases you’d come across in your day-to-day experiences, and how well you’re likely to be able to understand this kind of speech at your current level. Finally, once you’ve picked out what kinds of shows you’ll be watching, it’s time to hunt them down and access them. So now you know what you need to be watching, but where to find it? The answer to this question will differ by language, level and even country of residence—but thankfully, the Internet is currently a friendly place for language learners. Some of the resources listed here have geographic restrictions, which means that the website scans the IP address from your computer to see what country you’re browsing from. For example, many TV stations and news channels only allow content to be viewed in their country of origin. Often you’ll bump into videos on YouTube that are blocked outside of certain regions. If you want to get around this and watch TV from another country, you can always use a Virtual Private Network (VPN) to change your browser’s IP address, but be sure to read up on the terms and conditions of the service you’re using to see whether or not it’s frowned upon. An easy way to set up a VPN and magically change your location to the country of your choice is by installing HideMyAss! VPN on any of your devices—it works on your computer, smartphone and internet-enabled TVs and game systems. Once that’s set up, you’ll have better luck viewing content on regional sites. Netflix: Netflix has a huge repository of TV and movies in different languages—you’ve just gotta know where to look for them. Most countries’ Netflix will offer Disney and other animated films with audio in multiple languages, and there are plenty more series available in many target languages. Check some of the so-called secret codes to find lists of Spanish films, foreign horror movies, Southeast Asian movies and more. 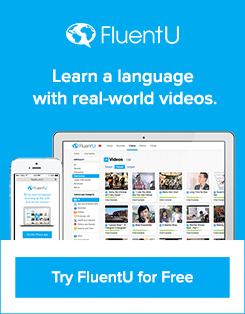 FluentU: If you want easily accessible video that you don’t need to go searching for every day, with custom lessons and tools for learning new words and phrases in context, check out FluentU. FluentU takes real-world videos—like music videos, movie trailers, news and inspiring talks—and turns them into personalized language learning lessons. If you’re learning Mandarin Chinese, Spanish, French, German, Japanese or English, look no further! Streaming apps: Free apps and websites like Streema and Giniko offer streaming television from many countries around the world. Just select your country or language and start browsing programs! National public TV stations online: Many countries make their public television available online (often restricted to IP addresses within the country). For Dutch learners, for example, Nederlandse Publieke Omroep has the vast majority of Dutch public television available online. For other languages, try Googling “watch [country name] public television online” in the target language. International news and media outlets: Companies like CNN, BBC and Al Jazeera have different channels for news in different world languages, some of them even with 24-hour content. If you’re learning a world language with more than a few million speakers, there’s probably an international media outlet capitalizing on that market and putting out tons of news content that you can use for your language learning. YouTube TV shows: Did you know that YouTube has a TV Shows page? You can choose from TV shows in Russian, Bengali or whatever else you’re looking for, though some of the individual shows on each page will be locked according to IP address. Google: When all else fails, just ask Google. Try typing a query like “watch Portuguese tv online” or “watch Turkish children’s shows online,” with the search terms written in your target language, and you may be surprised what hidden TV gems are lurking on the Internet. Once you’ve identified appropriate learning material and picked out your first videos, you need to decide what to do with them. Just watching target language material in your downtime is a great way of incorporating your language into your normal daily routine, but most learners will also find that they benefit from structuring their TV time in a way that enhances learning and retention. Include completely unstructured, rules-free TV time at the beginning or end of each day. Yes, even repeated lack of structure counts as structure! In this approach, TV becomes part of your normal daily relaxation. Don’t take any notes, don’t practice anything and don’t look up any words (unless you must to understand the meaning). Just watch and enjoy. This is a great way to turn part of your language study time into passive, organic, enjoyable learning time. 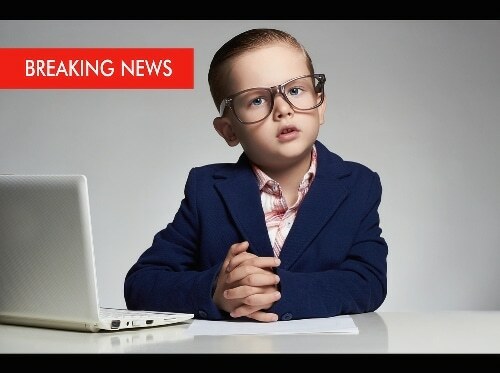 Watch TV immediately before speaking practice. Listening is the passive skill that complements speaking, its active counterpart, and when you use them both together, you’re much more likely to retain what you’ve learned. Watch your shows immediately before a speaking situation, like a Skype call or a language exchange, and try to use new words and phrases that you learned from your most recent TV episode, film or video content. Use TV for vocabulary- or idiom-building exercises. As you’re watching, identify new words or phrases that you don’t quite understand, especially those that might be made up of word parts that do seem familiar. Write down your phrase and perform a Google Image search, or just a normal search with the phrase in quotation marks. See how others are using this phrase and if you can piece together its meaning without resorting to a dictionary or translator. Write a short fan fiction based on your favorite show. Take what you’ve learned by listening and use it actively by writing. Type up a page or two using characters from your show and try to write dialogue that sounds natural for them, using the same native phrases the characters do. Read it out loud and see how it compares to the show. For extra help, post it on a site like Lang-8 for native speakers to read and correct your writing. You can also use TV and video content any time you need to brush up on your language. Our language skills get rusty from time to time, and that’s okay. Any time you feel you’re getting out of shape in your target language, you can just load up some videos or rewatch your favorite shows to remind your mind what that language sounds and feels like and get the linguistic juices flowing again. Tuning out in front of the TV alone won’t teach you a language, but even this will still take you many long steps in the right direction. If your language learning ambitions reach beyond those of the phrasebook-wielding tourist and you want to learn how to actually use a language as a way of learning about a new culture, new people and a new place, remember: Becoming a good listener is one of the key steps toward becoming a smooth talker in any language.